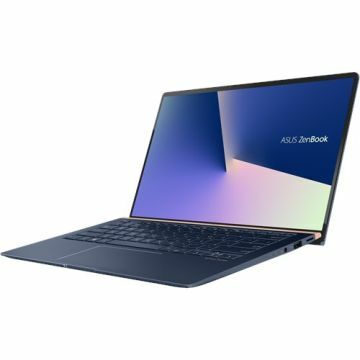 Here are ASUS ZenBook 14 UX433FN drivers for Windows 10 64 bit you can download and install to let your laptor work properly. ASUS ZenBook 14 UX433FN is 14 inch laptop powered by Intel Core i7-8565U processor or Intel Core i5-8265U processor with NVIDIA GeForce MX150 2GB GDDR5 VRAM graphics video card or Integrated Intel UHD Graphics 620. This ASUS ZenBook 14 UX433FN notebook comes with 8GB / 16GB 2133MHz LPDDR3 memory and 1TB PCIe 3.0 x4 SSD; 512GB / 256GB PCIe 3.0 x2 SSD storage to store your documents. This portable PC features 3D IR HD webcam, dual-band 802.11ac gigabit-class Wi-Fi, Bluetooth 5.0, USB 3.1 Gen 2 Type-C port, USB 3.1 Type-A port, HDMI port, MicroSD card reader, full-size backlit keyboard, Windows 10 64 bit OS, and 50Wh 3-cell lithium-polymer battery with up to 13 hours battery life.